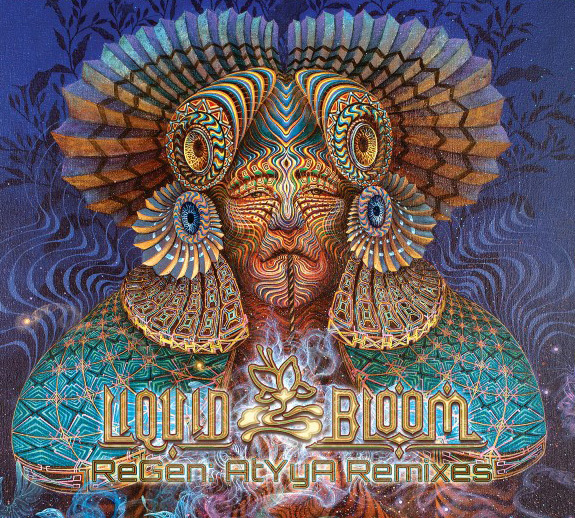 Beginning around October of last year, Amani Friend was finishing up his “Re.Generations” album and started sending AtYyA (Tyler Clark) the stems, which coincided with AtYyA’s trip down to South America over the winter. This provided the perfect environment and inspiration to start remixing these medicine songs. 6 months later, AtYyA had ended up remixing 7 of the 9 tracks from the album, and Black Swan Sounds and Desert Trax are pleased to offer these remixes as a full length album in CD format + digital in August 2017, just before the Oregon Eclipse festival. Visionary artwork for the cover by Luis Tamani.